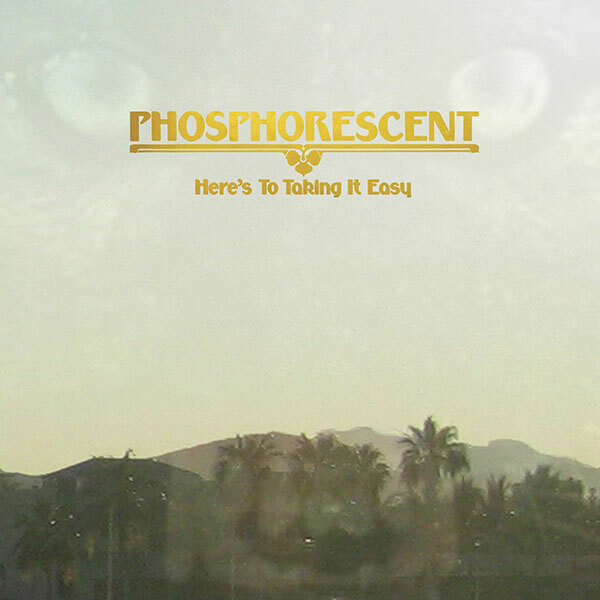 Matthew Houck may operate out of the too-cool-for-school, New York City indie rock community, but the Alabama-born mastermind behind Phosphorescent has a muse that clearly resides in warmer climates. A breezy, classic rock-tinged collection of heartbreak road ballads nursed into existence on a steady diet of the Eagles and the Band, Here’s to Taking It Easy, the first Phosphorescent release to rely on musicians other than Houck, plays like a lost piece of vinyl from the early ’70s. Houck is a generous, earnest songsmith, and his tales of love on the rocks (“Tell Me Baby [Have You Had Enough]”), love lost (“Heaven, Sittin’ Down”), and love of the South (“It’s Hard to Be Humble [When You’re From Alabama]”) feel lived in and cared for. Even on autopilot (the slight “I Don’t Care If There’s Cursing” and the hippy-drippy “Hej, Me I’m Light”), his effortless, laid-back version of modern alt-country feels like an old friend, and the weepy, sun-drenched reverb that permeates the whole affair feels authentic rather than coerced out of a Pro Tools plug-in. The only downfall is that Here’s to Taking It Easy is so easy to take that at only nine songs, it flies by in no time at all.